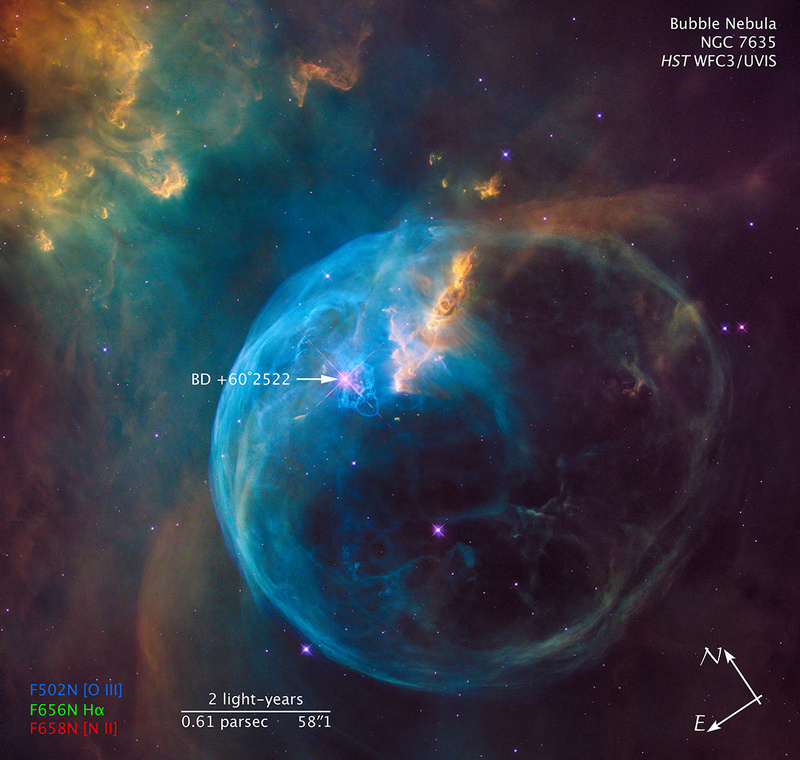 Welcome to Hubble Heritage Bubble Nebula’s documentation! Figure 1 - Three color image with compass and scale. Figure 2 - Footprints on the sky of the two instruments used on this program. The numbers indicate the visit number for each tile. Blue is WFC3/UVIS and pink is ACS/WFC. 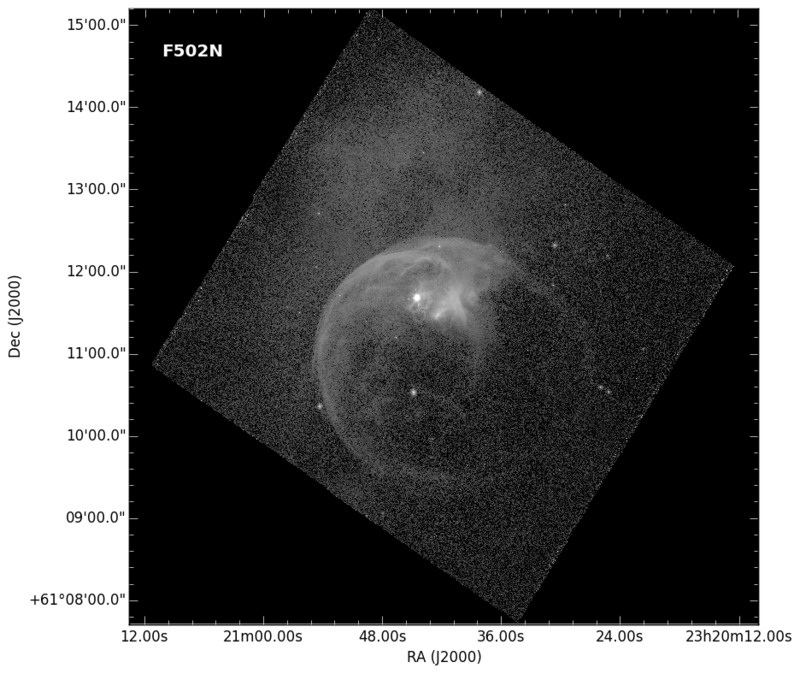 To commemorate HST's 26th anniversary, the Hubble Heritage Team has observed the Bubble Nebula with HST’s WFC3 camera. This new view of the Bubble Nebula covers a larger field of view, and has a higher spatial resolution than what was obtained with the WFPC camera in 1992 and with WFPC2 in 1999. 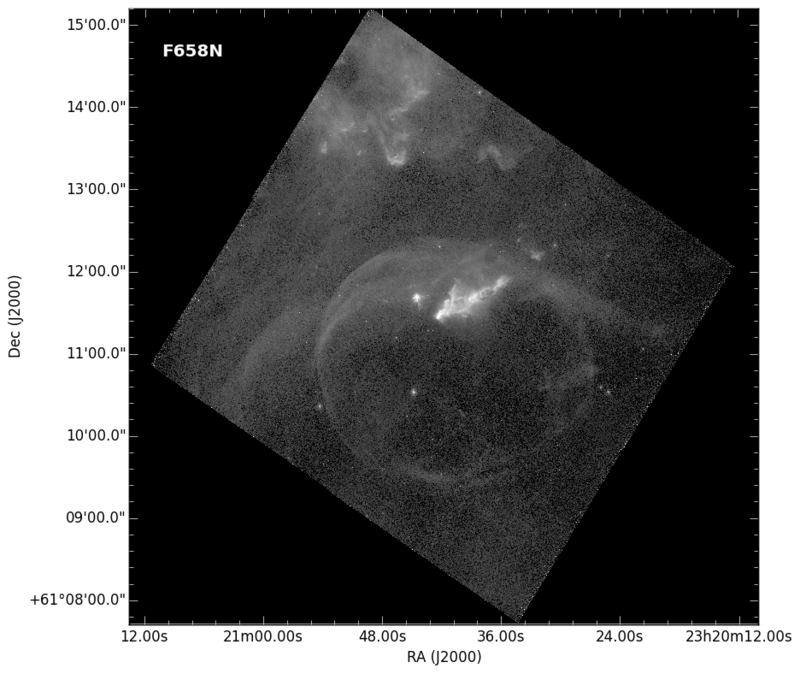 These new observations were obtained in February 2016 and include 4 tiles in a 2x2 mosaic with the WFC3/UVIS channel in three narrowband filters (Fig. 1). A summary of the observations is given in Table 1, while the footprints are labeled in Figure 2. For more details on the observing strategy, see the proposal GO/DD-14471, PI: Zolt Levay and the README file or webpage. 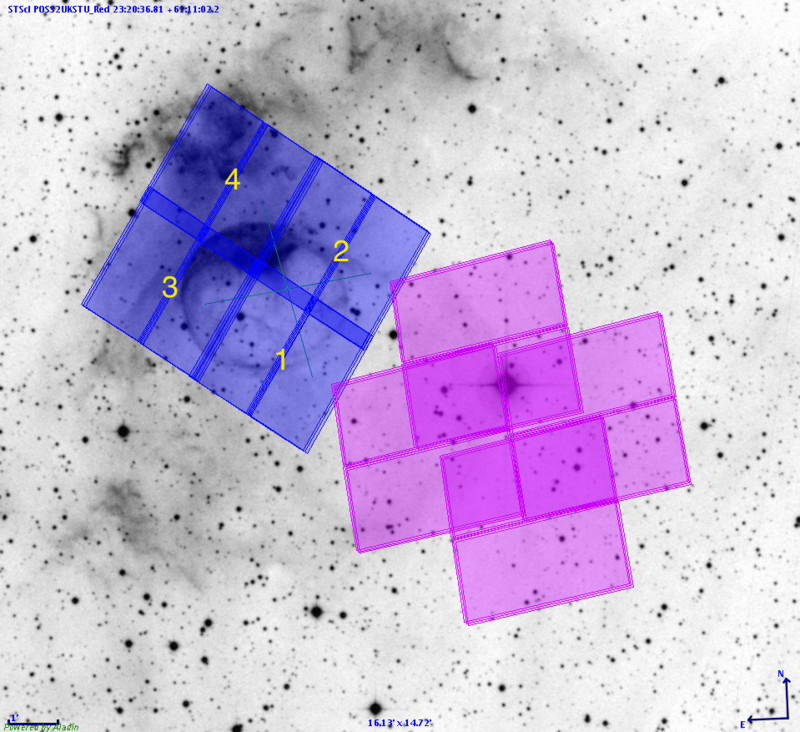 Parallel observations with the ACS Wide Field Channel (pink squares, 2nd image on right) have also been obtained using two narrowband filter. High level products for this dataset may be released at a future date. These new mosaics represent a significant investment of expert processing beyond the standard archival products, these AstroDrizzle-combined FITS images have now been released as High-Level Science Products via the B. Mikulski Archive for Space Telescopes (MAST). We provide a list of downloadable FITS files which include both the drizzled science (drc) and weight (wht) images.